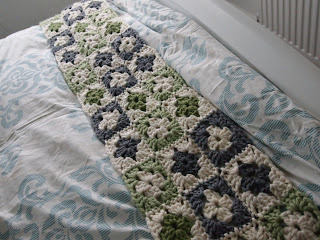 Destined for so much, achieving so little: Oh how I love crochet! The past few months have been a bit crazy as we've been having a lot of work done on the house. 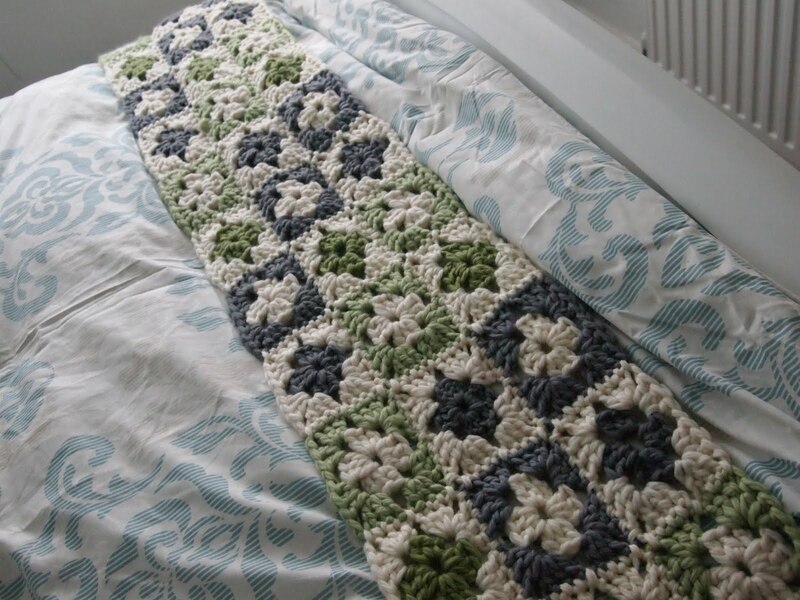 It has quite possibly been some of the most stressful time of my life and we're still no where near completion; I'll spare the details for another post! Whilst all the work has been going on in the house I've been feeling a bit lost since i've been unable to do any craft projects; you can't even walk into my craft room due to the towers of boxes!! 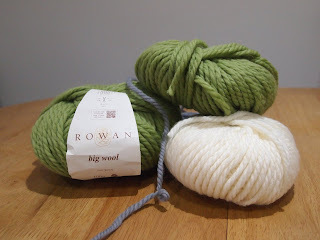 However over Christmas we went to stay with my family in Wiltshire and while we were there I popped to the local wool shop and picked up some balls of beautiful Rowan Big Wool and a size 10 crochet hook. Perfect for a brand new portable craft project! I've made lots of Amigurumi using crochet but haven't really tried anything else. 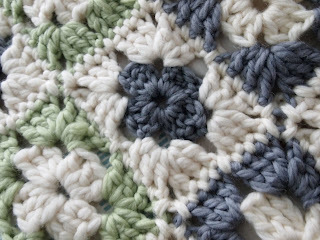 I've been wanting to get making some granny squares for a while and thought this would be a great opportunity. 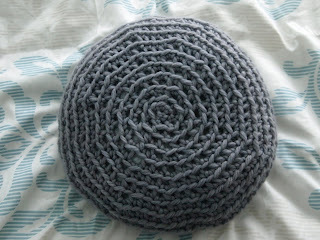 Using this video I had a few trial runs then got making. 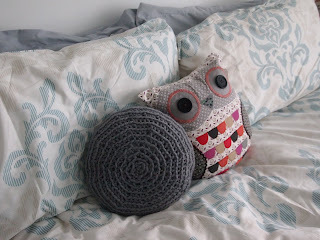 I had some wool left over so thought i'd make a cushion too - which nicely complements our new owl cushion that we got from my brother in law and his wife for Christmas. 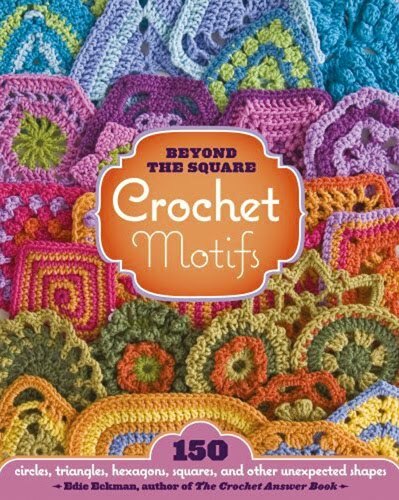 My hubby bought me this book for Christmas along with some other gorgeous craft books. I'm already itching to get started on my next project. 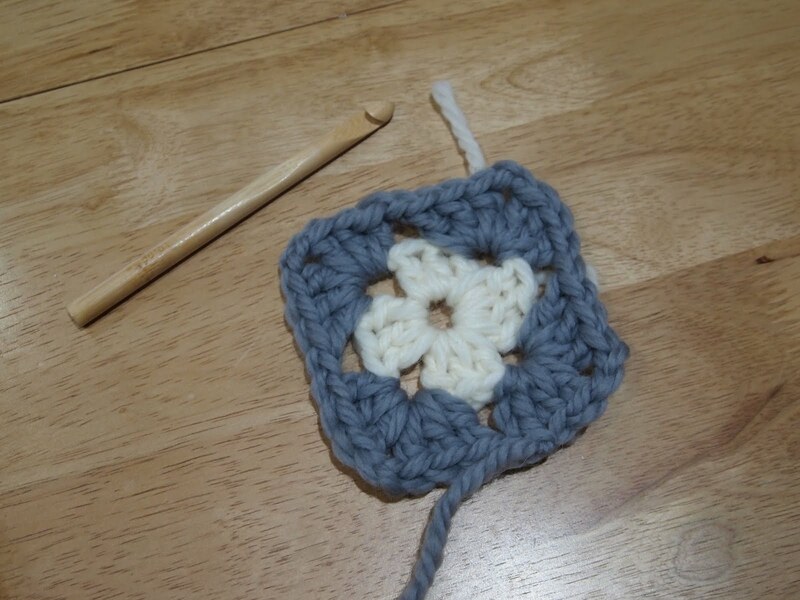 Do you have any craft projects that you've recently started? ?